Pakistans’ Minister of Interior Rehman Malik recently announced a 14-year prison sentence for anyone found propagating SMS and emails ridiculing or making fun of the present Pakistani leadership and its elected government officials. The statement issued by the Ministry of Interior, referenced the Cyber Crime Act of 2009 which apparently would subject the violators to a prison sentence of at least 14-years. It has been a long time, the Government of Pakistan has been trying to enforce a cyber crime law which since 2007, when it was first initially tabled in the form of a draft by the Ministry of Information and Technology. 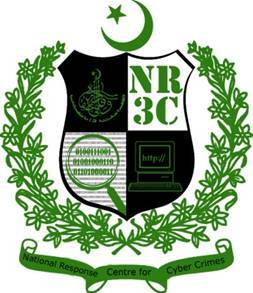 The then Cyber Crime Ordinance of 2007 was critically evaluated by the IT community and was found to be unfair, practically giving all encompassing powers to the Federal Investigative Agency (FIA), the local intellegence agency, to be the judge jury and executor with very minimal protection to any innocent bystanders who may become prey to any unwarranted political intentions. Seeing their local leadership at the base of many hard hitting jokes, the government decided to take such critical offenders to task. Here lies a very important problem, it is surprising to note that the Cyber Crime Act does even not exist, it is a fact that the Pakistan Electronic Crimes Ordinance of 2007 ironically had no mention of any crime related to SMS's, let alone punish a person for sending funny SMS's which may tarnish the image of the an ‘unspecified’ local leadership, the maximum prison sentence in that 2007 bill for any cyber crime offense was set at a maximum of 7-years [10-years if it involved a minor]. The statements made by Ministry of Interior were challenged, and the only official response that has been received till now that the ‘correct draft has not yet been released to the public‘. It only seems that the politically motivated statement was more or less geared towards scaring the general public into submission and hopefully stopping political rivals from ridiculing them. As per the legal experts in Pakistan there is still no law that prevents the prorogation of funny SMS's and emails, ironically on the other hand the Government of Pakistan still chooses to say otherwise. site and it will help a lot in completing that project.